Delta Airlines is one of the major airlines in the United States and its headquarter is located in Atlanta, Georgia. It has wide channel of network in both International and domestic areas. Other than Antarctica, Delta Air Lines offers its services to all major continents. It has nearly 80,000 employees and more than 5,000 flights are being operated by its subsidiaries. The airline stands largest on account of scheduled passengers, fleet size and kilometers passengers are flown. It is among 4 founding members of SkyTeam airline alliance. Also, this airline is the oldest service provider continuing its operations in United States presently. There are currently 3 consumer reviews about Delta Airlines available. Share your review. Delta is the worst, they are money hungry and will sell your seat out from under you. They do not take care of complaints. They simply don't care. Right Delta? Booked with Delta earlier this year and paid at booking. So far they have changed schedule at least 4 times for no apparent reason and the last change has really screwed up the situation so badly I may have to cancel the trip which had been planned for several years. Please take a note that you are about to post a public review about Delta Airlines corporate office on CorporateOffice.com. This review will be public, so please do not post any of your personal information on this website. 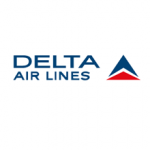 If you would like to contact the corporate offices of Delta Airlines, please use their contact information such as their phone number, website, and address listed above to contact them. However, sometimes staff from Delta Airlines headquarters do read the reviews on this website.